It seems like it was just yesterday that we told our readers how to buy Litecoin, when prices were climbing over $100 on Nov. 29, 2017. LTC prices then skyrocketed 275%, to $375.29 per coin, on Dec. 18, 2017, but are now below $100 again. 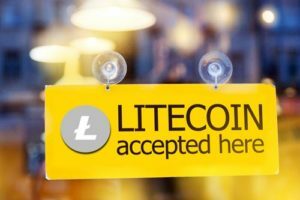 Joseph Raczynski, of JoeTechnologist.com, believes that Litecoin could trade for $150 by the end of 2018. "People still have some faith it LTC. I'm watching it, but I'm not as sold on it in the short term as some of the others in the Top 10," he told Finder.com. Craig Cobb, of TraderCobb.com, is also bullish on Litecoin, with a price target of $200 by the end of the year. However, fintech investor Clayton Daniel believes prices are going to drop to $50 by Dec. 31, 2018. "It provides zero advantages over other niche products gaining market share, and the founder sold out long ago at the top of the market," Daniel told Finder.com. That's what a lot of new cryptocurrency investors have been asking us. You see, they think it seems too expensive now to plunk down $6,500 on just one coin. Fortunately, you can use an accumulation strategy that will eventually allow you to own one full bitcoin. Llew Claasen, executive director of the Bitcoin Foundation, recently said that the price of Bitcoin will top $40,000 by the end of the year. Claasen also said that five cryptocurrency scams have been detected so far this year and that many more could appear in the coming months. Hollywood actor William Shatner is working to bolster the use of renewable energy in the mining and production of Bitcoin and other currencies. Shatner is a spokesperson for Solar Alliance, a renewable energy firm based in Vancouver, British Columbia. Finally, Wal-Mart Stores Inc. (NYSE: WMT) has patented a system aimed to access medical records that are stored on the blockchain. The database can be accessed at the scene of an emergency when a patient is unresponsive and can't speak with first responders. He did this because people were accusing him of manipulating LTC prices for his own gain. He also clearly is devoting all his time to furthering the LTC ecosystem, and doing a much better job than most coins of encouraging real world adoption. But of course, what is truth and context when it comes to juicy quotes and journalism?